We have owned our 11.5m. 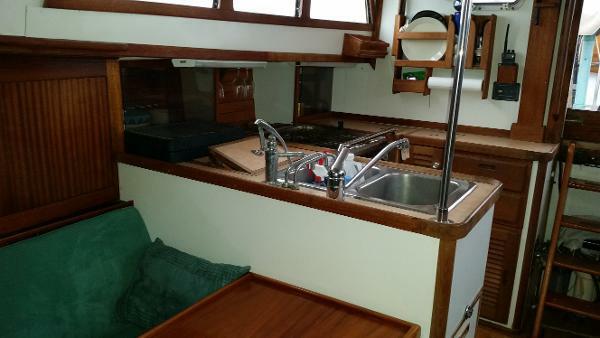 Dutch steel motor cruiser, Joanne, for 12 years and are reluctantly selling her. She is a spacious, well-equipped boat with plenty of accommodation and storage space; she can sleep 7 people – 2 separate cabins, dinette converts to a double, and one settee berth in the saloon. There are two electric WCs, one forward and one in the aft cabin. 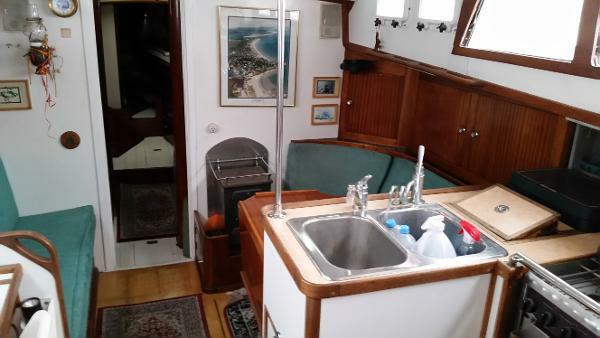 The large aft cabin has an island bed with the WC and wash basin to port and a shower and wash basin to starboard; the forward cabin has two single berths. Opposite the galley there is a comfortable dinette which can seat 6 people, and the upper saloon area is light and airy with ample seating. In 2016 she was repainted and refurbished with a new mast, some new electrics and overheads. The covers and bimini over the steering position are very adaptable; they can be used with just the bimini with various options right up to being totally enclosed. She really needs to be seen to be appreciated. 'GANDALF' is a proven vessel with a steel hull and deck that can shoulder to weather without shuddering or stalling in the wave troughs and also track flawlessly in big following seas. 'GANDALF' has been thoughtfully maintained by a renowned Porsche mechanic and his wife. Between 1992 and 2017 this vessel has been extensively improved and enhanced by the owner's. Between 1992-1997 the hull, deck and exterior was totally stripped and refinished, sandblasted where needed, primer and painted throughout the inside and out. As a result many aspects of the custom upgrades includes special features such as stainless steel fittings where possible are welded to the deck, along with stainless steel plating reinforced around the entire toe-rail. During this mid 90's work schedule total replacement of Electrical and Plumbing systems were done. The standing and running rigging was replaced in 2003. A new Yanmar diesel was installed in 1999, and the transmission was rebuilt in 2008.. 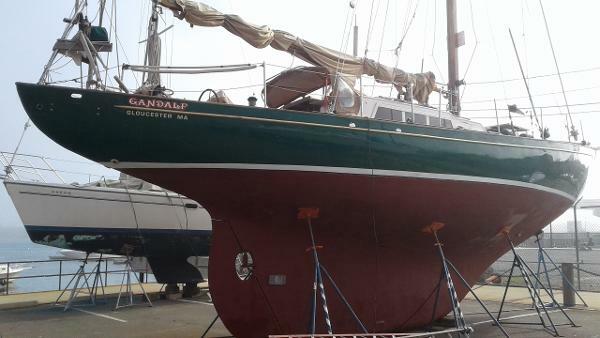 In addition to this having been built and maintained to a superb level, this fine steel vessel is a fast passage maker and can be handled easily by one or two people (Newport to Bermuda in 3-1/2 days). Completing an 8 year Round-the-World cruise the speed, steel construction and maneuverability of this vessel was a life-savor for the owner's, during a pirate attack off the coast of Yemen in 2005 "Gandalf" has a wealth of detail not found on other vessels and is a superb example of a beautifully built steel yacht.Fully equipped with many spare parts and ready to sail away.